Yellow brick, 2 x 2 with Wheels? Does anybody knows in which set these wheels with a yellow 2x2 brick were used? It looks like there was one with treaded tires in #213. Perhaps the treaded tires were replaced with smooth tires. It's been a while since I've looked at the ones I have, but I think the wheel is the same and will fit either tire. I don't think the tires were replaced because on Bricklink three sellers are offering these wheels with smooth ones. The fact that they're selling them doesn't eliminate the possibility of the tires being replaced. Suppose you're right, in which set came this yellow brick? But I'm not convinced about the tire, I still believe that it is the smooth one. Both Peeron and Bricklink have that part in yellow appearing in only one set ( #213 as above) so although there may be one that isn't known / hasn't been inventoried or a variation on the normal contents, it would seem far more likely that it has just had the tires changed (they were completely interchangeable between the smooth and treaded). OK I checked these out..... yes it is possible that someone could have changed the wheels from those with traction to the smooth ones. But I have a feeling that these might be original. I did some investigating of sets, especially Samsonite mini-wheel sets (starting in 1970), and I could not find any sets that these may have come from. My best guess at the moment is that these could be model shop inventory that got out. There are other strange parts from the 1970s that found their way to the secondary market in odd colors, so I think that these may have been among them. ^ Out of interest why - you've found absolutely zero evidence that they ever came with smooth wheels. The colour isn't particularly odd as we know there's a set with a yellow wheel block, but with treaded tires. Back as a boy I would change the tyres on these or the wheel plates between smooth and treaded almost daily depending on what I was building. @MrTjips hasn't given any idea of why he thinks its original other than three bricklink sellers (which really doesn't prove anything) so by far the most likely explanation is a tire swap. I don't really care, but just a little perplexed given the most obvious possibility. I've got these wheels from and old lady who once owned a toy shop. She kept many sets and parts (mostly for her children) and she was selling it some years ago. I bought many old sets from her and all of them came with the original parts and some of it with the original boxes. The Lego I bought from her were mainly from the sixties, and the first years of the seventies. I have seen more odd bricks, and as Istokg said there are more found. In my 8 years of researching LEGO sets/parts/history et al.... I have found that trying to make sense of everything that I have found.... is a very frustrating task. I call it LEGO Mayhem. Some things about LEGO... just do not make sense. 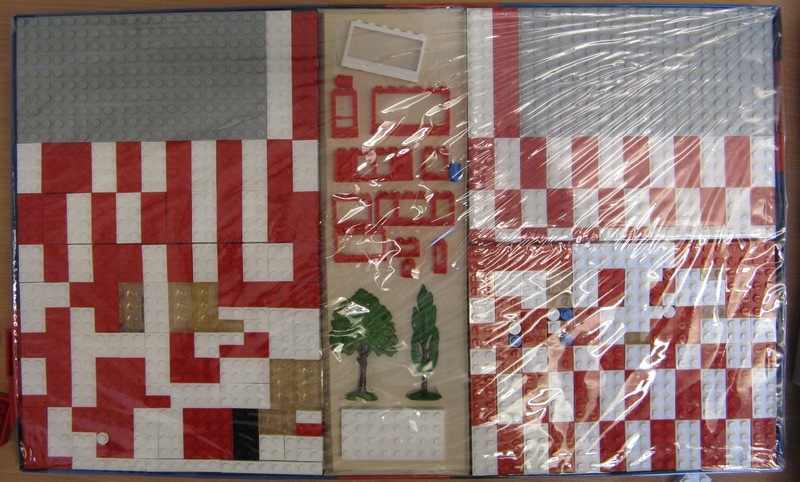 Always red/white bricks laid out in a general checkerboard pattern (with a few clear ones added, and some round bricks in assorted colors).... a set of all the different classic windows/doors 2 trees and 2 4x8 white plates, and a pair of gray 10x20 baseplates. This set defies all the principles of the LEGO basic sets... no checkerboard layout, just a random parts assembly with no rhyme or reason.... a white 1x6x3 Panorama window replaced one of the white 4x8 baseplates.... and i see something i have never ever seen before in ANY of the 700/0 thru 700/6 basic sets... a black brick. This is LEGO gone totally crazy.... but it is a MISB sealed set. Had this set been opened... I and all my collector friends would agree that this was not original.... but it is!! 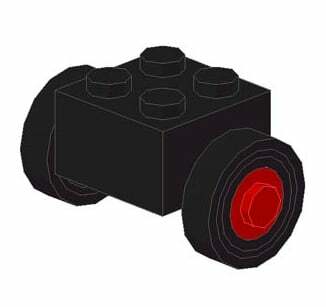 And this is just one of over 100 anomalies I have found over my 8 years of researching old LEGO. Things that really don't make sense happening. Now in the case of those 2x2 yellow axle bricks with smooth tires.... we have no way to prove that they weren't switched at some point. But I know better than to not keep an open mind that these may indeed have originally been found that way.... be it from a model shop.... or even from a #213 set that had the wrong wheels attached. When it comes to LEGO.... I always look at the unexpected.... and keep an open mind on whether something is original or not!! I could go on about a dozen other sets that come in some strange variations... but you get my point. It is easy to explain away some things as just switching something simple such as tires.... but I am always open to the possibility of things actually being original.